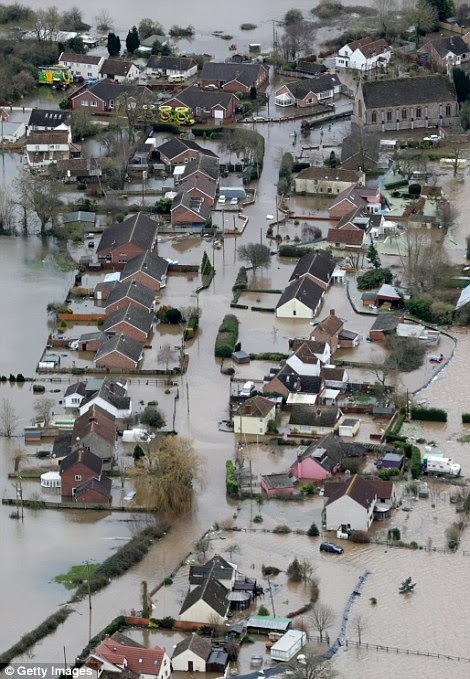 After weeks of above average rainfall and a series of heavy winter storms that had the UK in its cross-hairs, the aftermath is what one would see after a hurricane: major damage to infrastructure, loss of thousands of cars, and property damages in the billions due to flooding. 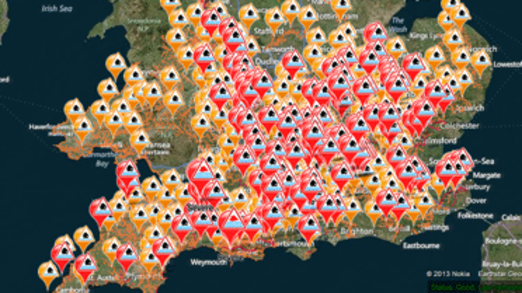 Most of southern England is in a high level flood alert, with more rain on the way. 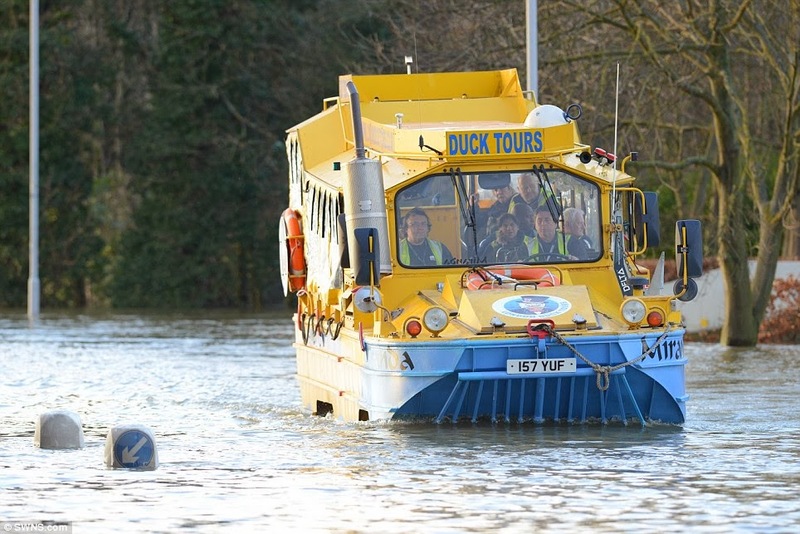 The severe weather has caused disruption for commuters which could take months to resolve, with thousands of acres of land affected, and residents who have been flooded for weeks. The situation has reached a critical level. The Thames Barrier is a series of giant metal gates downstream of central London that can be closed against tidal surges. The Thames Barrier has closed almost as many times in the past six weeks as in the whole of the 1990's. 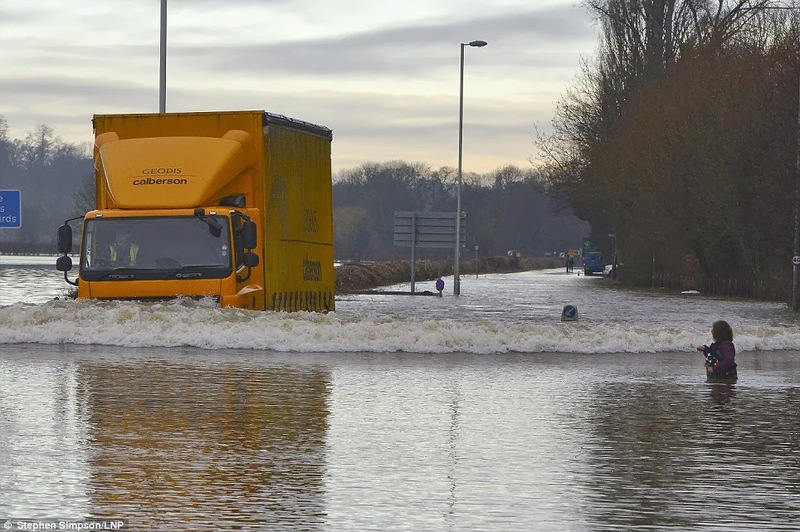 The wettest period of weather for a century has seen the barrier closed a record 29 times since the beginning of the year, compared with 35 times in the decade of the 1990's. 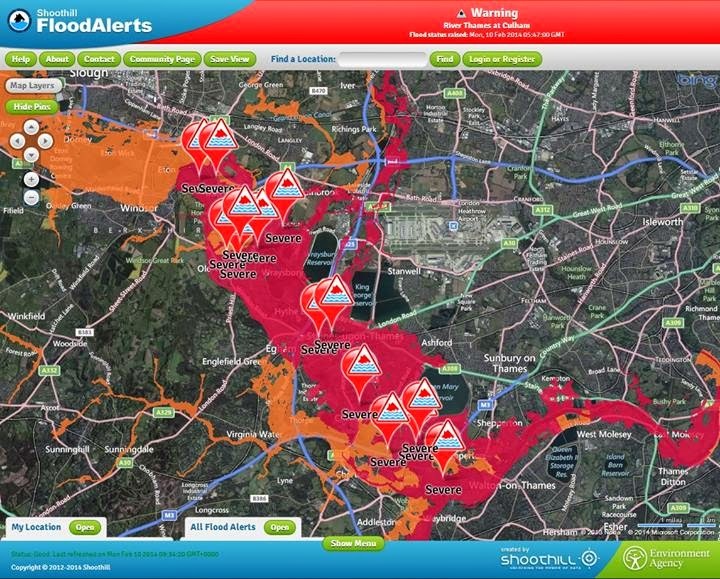 It is what protects London from tidal flooding. 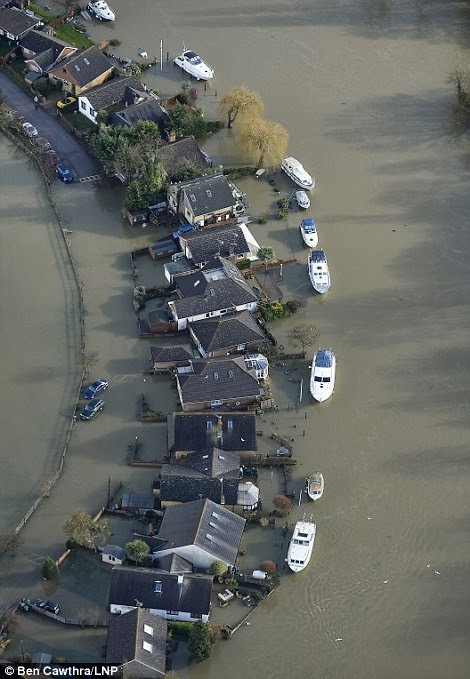 With thousands of homes along the Thames threatened by flood water, the emergency work to prevent flooding continues, including the distribution of tens of thousands more sandbags by the Royal Marines. 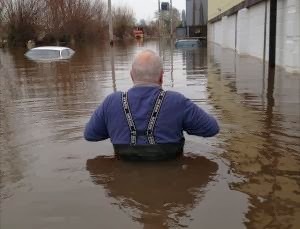 As the waters continued to rise, some residents tried to help others who want to leave, while some were concerned how they would get to work today, with cars trapped and the rail line to London closed. 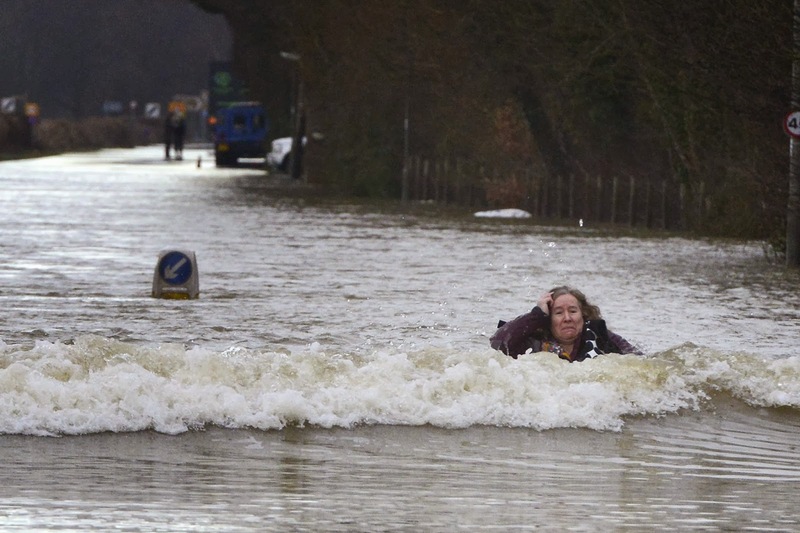 England has had its wettest January since 1766. 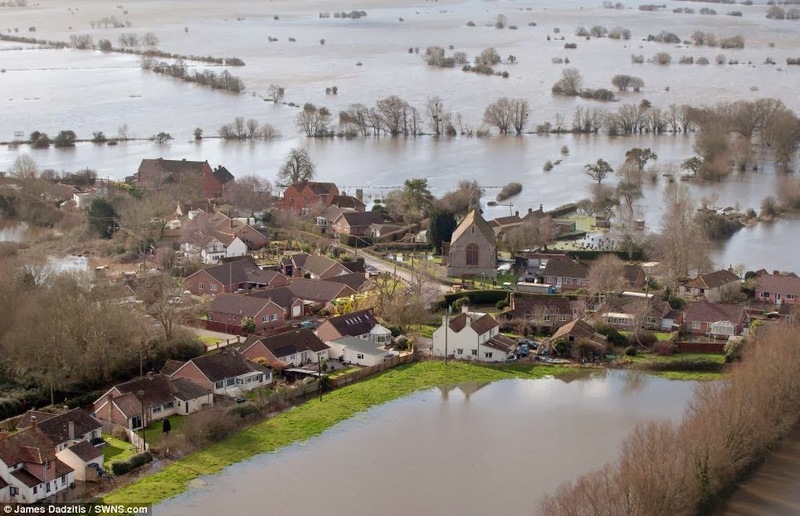 Its southwest coast has been battered repeatedly by storms, and a large area of the low-lying Somerset Levels in the southwest has been under water for more than a month. The disaster has sparked a political storm. 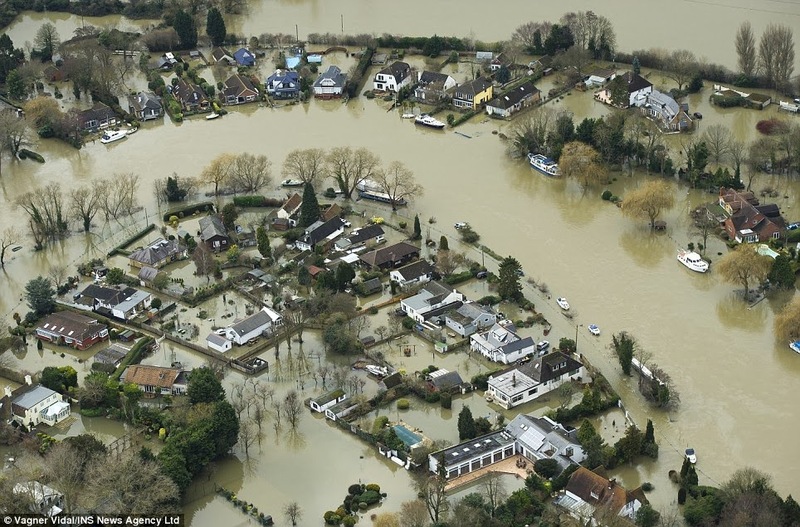 Prime Minister David Cameron's Conservative-led government is facing criticism for allegedly failing to dredge rivers and take other flood-prevention measures. 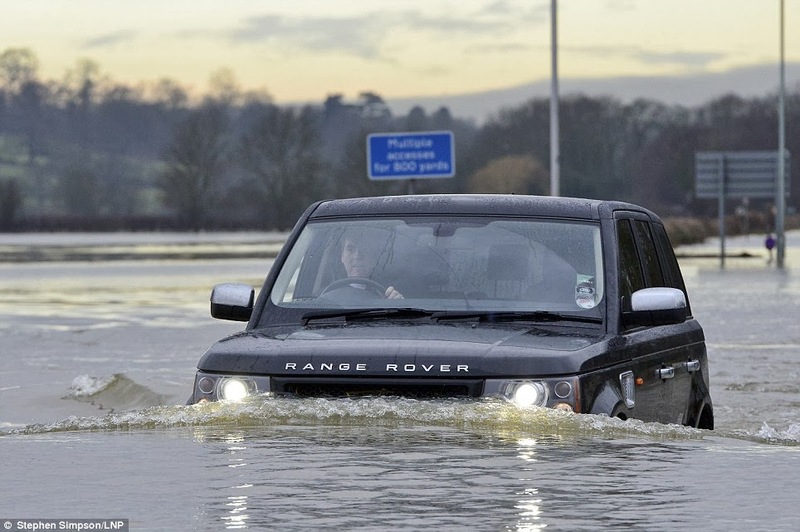 Cameron and Deputy Prime Minister Nick Clegg visited flood-hit areas Monday as the government struggled to take charge of the crisis. Cameron denied that the government had been slow to respond. "We have been dealing with it from the very moment it started," he said. "Where money was needed, we provided more money. Where military was needed, I made sure the military was deployed." As of 7.52am GMT, Fire crews in Surrey have rescued 150 people over the last 24 hours as police warn that residents in around 2,500 homes are at risk. 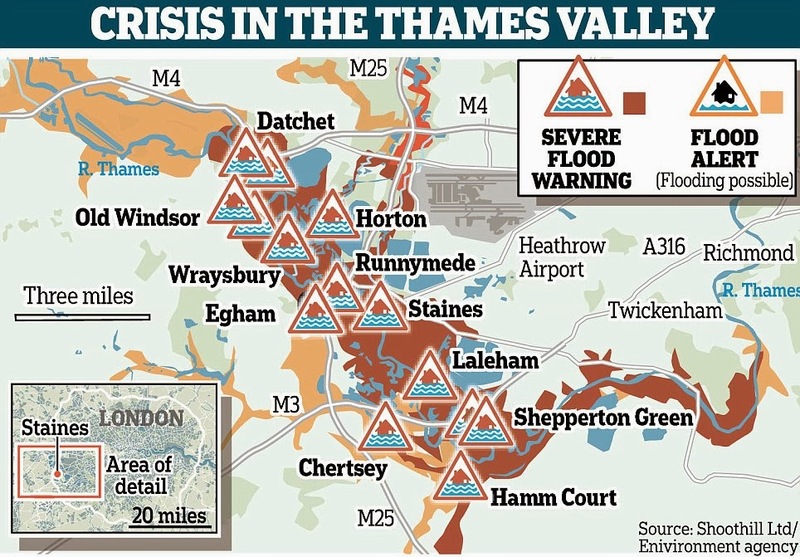 Chief superintendent Matt Twist, borough commander for the flooded areas in north Surrey, described the floods as an “extremely challenging situation”. 11-metre waves are also pounding the coast of Ireland, Spain, Portugal and France causing extensive damage.